Supreme Products Conditioning Shampoo is from the Horse Care Range and is a perfect choice for all coat colours and types. This conditioning shampoo produces shine, lustre and will leave the coat in top condition. Lather in to the coat and leave to saok in to the coat for a few minutes to start conditioning. Rinse and repeat if required. It contains Tea Tree and Aloe Vera to gently soothe, ease and condition the coat. 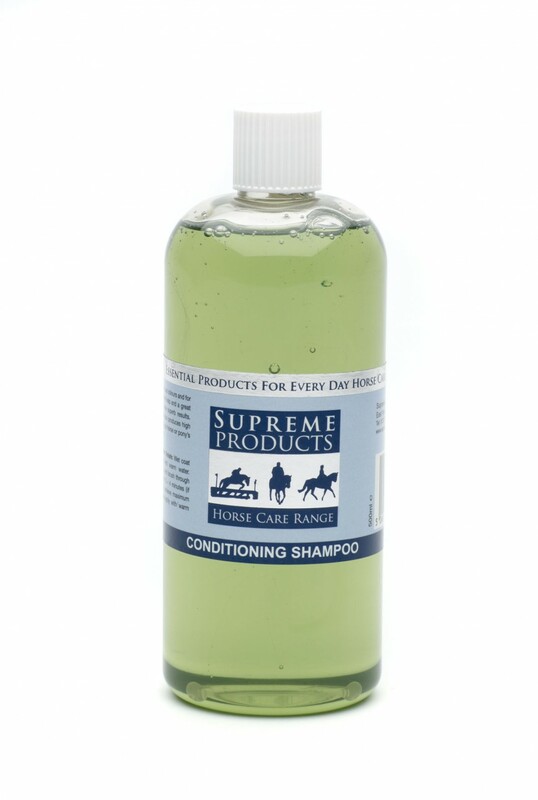 There are currently no questions for Supreme Products Conditioning Shampoo for Horses - be the first to ask one!